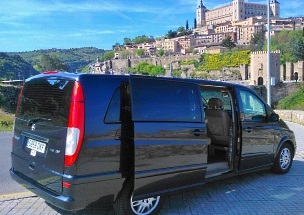 If you are looking to tour in and around Madrid in comfort and style – we can offer you amazing tours at affordable prices. 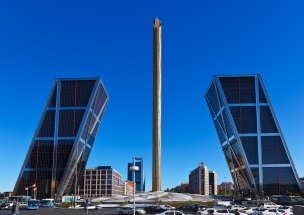 Madrid is a great base for some of the best day tours in Spain. We can pick you up directly from your hotel or the airport and take you to wherever you wish to go at the end of the tour. We offer personal and enjoyable tours for all group sizes. We are a team of friendly and passionate local driver-guides and expert guides who are committed to making your visit in and around Madrid the best it can be! We will not bore you with rehearsed text or dull details and we would love to share with you our passion for our Capital and its surrounding. Let us give you an insider look into real life in Madrid, interesting anecdotes on the places we visit, and a courteous and professional service. You will not be disappointed. We can offer you just about everything you need to have the perfect holiday. Airport transfers, hotel pick-up and drop-off, high-quality day tours, suggestions and advice on how to spend your evenings, and a personal caring service. We will safeguard your luggage while you tour with us and help you skip-the-line where needed. Our aim is to make your holiday hassle-free and enjoyable. We will do the absolute maximum to depart with very satisfied and happy new friends after each tour. We hope to welcome you in Madrid soon! Please help us stop the piracy of tourism in Spain by only booking your services with a genuine Tour Operator. To make sure you deal with a legitimate Tour Operator please inquire with the American Society of Travel Advisors (ASTA) which regulates the industry worldwide. Also- please know that we will ensure to pick you up and take you to wherever you need to go with both our private and semi-private tours, so you are never on your own when you book with us. We will make sure to always make your safety and security our utmost priority. We are aware of the increasing incidents of pick-pocketing and theft around busy areas and bus stops, which is the reason we offer personal pick-up and drop-off on every service we do.